On Friday the 27th, Peter Norton Symphony Space hosted an array of musicians, animators and composers alike from NYU Steinhardt's Department of Music and Performing Arts and Tisch Maurice Kanbar Institute of Film & Television. From touching student-animated films to the passionate portrayal of Rachmaninov's Concerto No. 2, NYU Symphony and conductor Jens Georg Bachmann, gave a magnificent performance. NYU Symphony began their performance with a contemporary Chinese orchestral piece, "Ink-splash" by Weiwei Miao. Based off the Chinese "splash ink" technique, the symphony performed a whirlwind of colorful sound and melodies featuring traditional Chinese pentatonic modes and seven-tone modes. The entrance of first violinist Roy Meyer's beautiful and lilting solo, captured the eyes and ears of the audience right away. The next part of the performance featured the 2015 NYU Steinhardt Film Score Composition Winners in collaboration with Tisch Animations. The symphony played an emotional piece composed by Dong Liu alongside a projection of Dan Costales' short animated film, "Moon". The animation shows a man right before his death as he remembers the sweet moments of his past. Dan Costales' second animated film, "Bears", composed by Ming-Hsueh Lin, also touched audiences with the moving story of a father whose love for his daughter is revealed by his change of heart for the animals in the forest surrounding their home. Two other animations were shown, "Goodnight Boon" and "Fighting Spirits" which explored the contrasting themes of friendship and rivalry. Although the animations and scores portrayed different themes, each revealed the hard work and talent of their creators. The last two pieces performed by NYU Symphony were undeniably the most difficult and intense. Igor Stravinsky's "Firebird Suite" began with the cellists playing a soft, yet daunting melody from the first movement. As the symphony performed the rest of the movements, "Firebird" took our minds on a whirlwind of intense dynamics, rhythms and sounds. The next piece, Rachmaninov's Piano Concerto No. 2 in C minor, Op. 18, captured the hearts of audience members with its rich string parts and balance between piano soloist and orchestra. As pianist Tadeusz Domanowski's fingers danced across the keyboard, the NYU Steinhardt Piano Competition winner continually amazed us with his exquisite and skillful portrayal of Rachmaninov's romantic concerto. 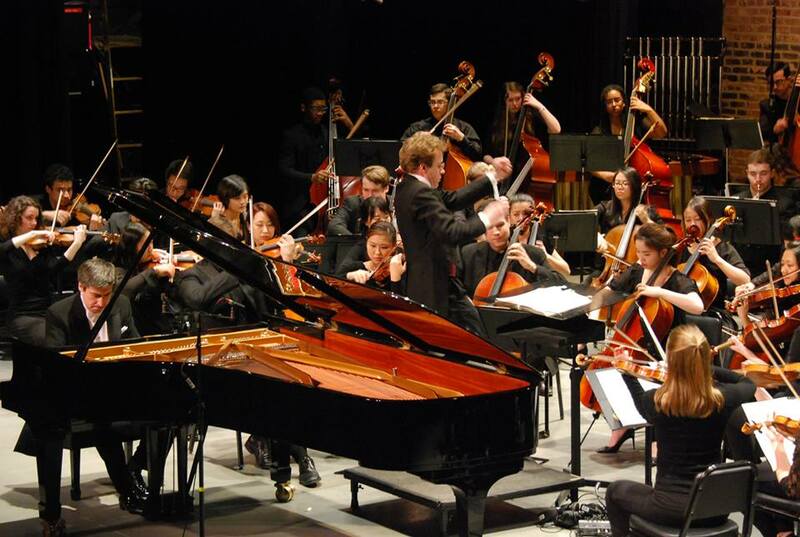 Overall, the NYU Symphony presented an astounding and virtuoso performance.